JOHN M. PETERSON is engaged in the representation of not-for-profit and related organizations, and those in the travel, tourism, hospitality, incentive and meetings industry. John is a former Regional Director of the Federal Trade Commission, a former Chair of the Chicago Bar Association Trade and Professional Association Law Committee, and a former Chair of the Illinois State Bar Association Antitrust Law Section Council. John advises in the areas of antitrust and trade regulation, as well as other matters affecting trade associations and professional societies. John graduated with honors from The John Marshall Law School, where he was a member of the Law Review. John is admitted to practice before the Supreme Court of Illinois; the Trial Bar of the United States District Court, Northern District of Illinois, District of Colorado, and Eastern District of Michigan; and the Ninth and Tenth Circuit Courts of Appeals. 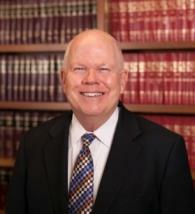 John currently serves on the ASAE Legal Section Council.